Toukura has been involved in the development of batteries, EV systems, and fuel cells at Nissan. Nissan has appointed Nobusuke Toukura as the head of its European technical center in Cranfield, England. Toukura, 51, moves to the role on April 1 from his current job as chief vehicle engineer at Nissan's technical center in Atsugi, Japan. Toukura succeeds Takashi Shirakawa, who becomes chief vehicle engineer for Nissan's midsize car platforms at the company's product development division in Atsugi. Shirakawa steered the launches of several new vehicles, including the Nissan Navara pickup, the Infiniti Q30 and the new Micra. His successor Toukura, a 16-year company veteran, played a key role in the development of the current Nissan Leaf EV battery pack. He will report to Nissan Europe Chairman Paul Willcox in his new role. "Toukura's experience, expertise and commitment to the company are sure to contribute strongly to our track record of engineering excellence and quality in Europe," Willcox said in a statement. 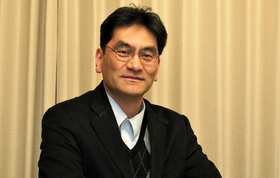 Toukura has held a series of engineering-related management roles since joining Nissan in 1991. He was instrumental in the development of lithium ion batteries, EV systems, driving controls, fuel cells and other technologies. He was appointed general manager of Nissan EV battery development in 2011 and got the chief engineer role in 2014.